Many of us will soon be planting new perennials, lawn, vegetables, or fruit trees. Like most, we want our yards to look lush, healthy, and happy. This too often means the use of fertilizers and pesticides. But if you choose the right plants and grasses your need for those harmful pesticides and chemical fertilizers will dwindle. Choosing native plants can make a difference. Because they evolved in this environment, they’re not only tougher, they help maintain healthy soil composition; increase your yard’s biodiversity; prevent water runoff; attract native species and pollinators; and resist drought, freeze, disease, and pests. By using native plants and site-adapted grasses we can reduce our use of unsafe pesticides and fertilizers, becoming pesticide free! Join our #PesticideFreeSLC campaign and pledge to keep our yards healthy and our bodies safe. Today we’ll talk specifically about grasses, alternative lawn covers, and native plants. Pledge to be Pesticide Free this Spring! Spring is around the corner and that means it’s time for many of us to get serious about yard and garden work. Whether you’re making a new landscape plan, planting fruit trees, beautifying with ornamentals, growing veggies, or maintaining a lawn, we invite you to join our #PesticideFreeSLC campaign and pledge to keep the chemicals out of your yard! You may recall that last November we announced this campaign, which is part of our work with the Healthy Babies Bright Future alliance. Our goal with this partnership is to empower community members to reduce exposures to certain chemicals– beginning with pesticides– that have been found risky and dangerous to babies in the first 1,000 days of life. This spring, we’re posting regular tips and tricks on when and how to prep your lawn and garden without the use of chemical pesticides and fertilizers. Follow along, ask questions, and join us in creating a #PesticideFreeSLC! 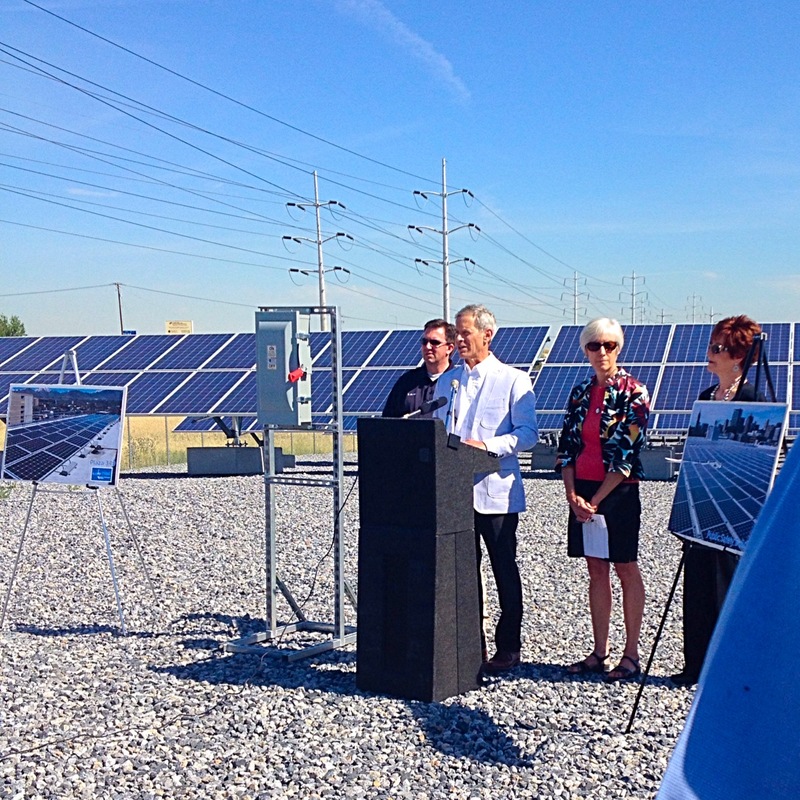 For the first time ever, Salt Lake City Green has released a State of Sustainability Report. 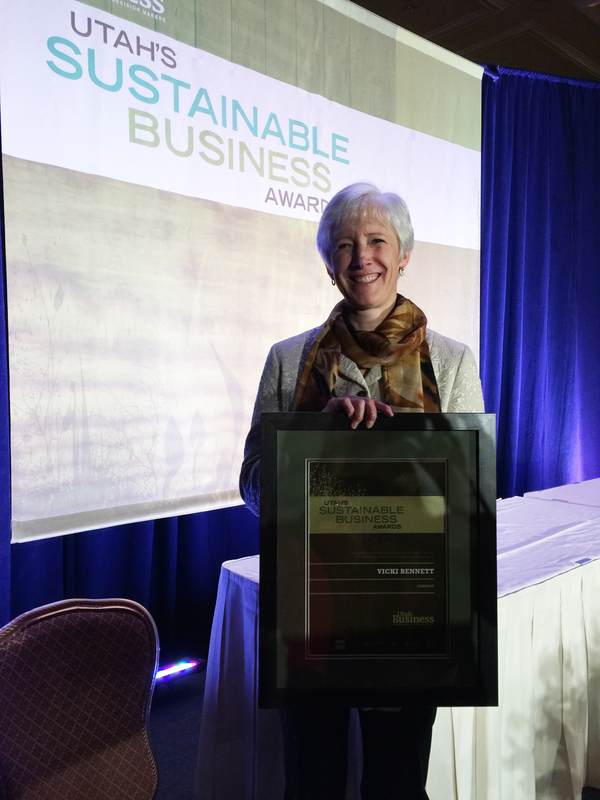 2015: State of Sustainability in Salt Lake City is an overview of Salt Lake City’s hardworking Sustainability Division, which began in 2008. The Sustainability Division (otherwise known as Salt Lake City Green, or SLCgreen) aims to preserve and improve our built and natural environments and provide people with information on sustainability issues affecting Salt Lake City. 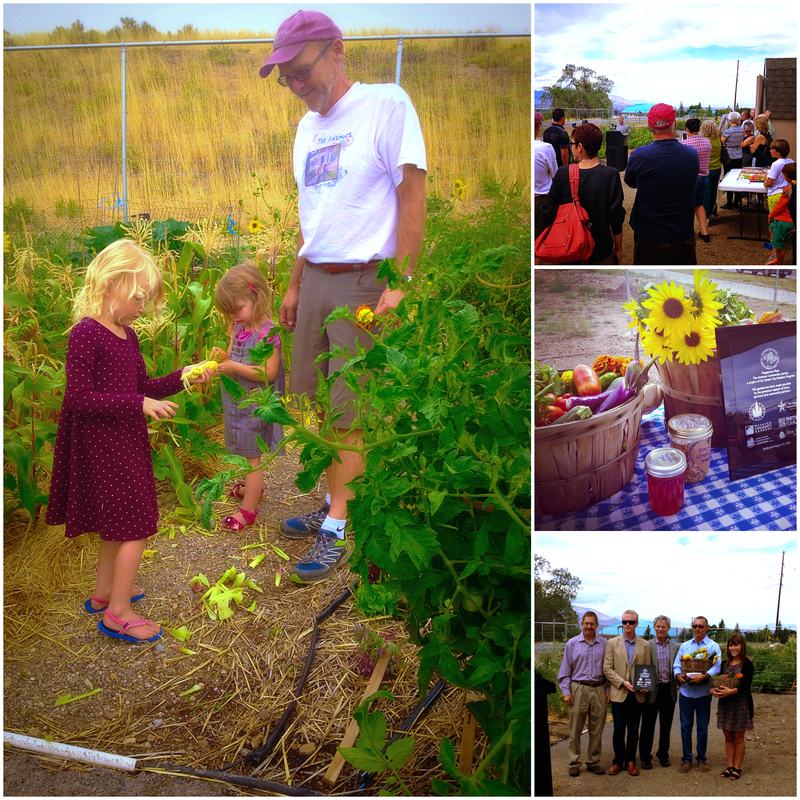 The Division of Sustainability develops goals and strategies to protect our natural resources, reduce pollution, slow climate change, and establish a path toward greater resiliency and vitality for all aspects of our community. 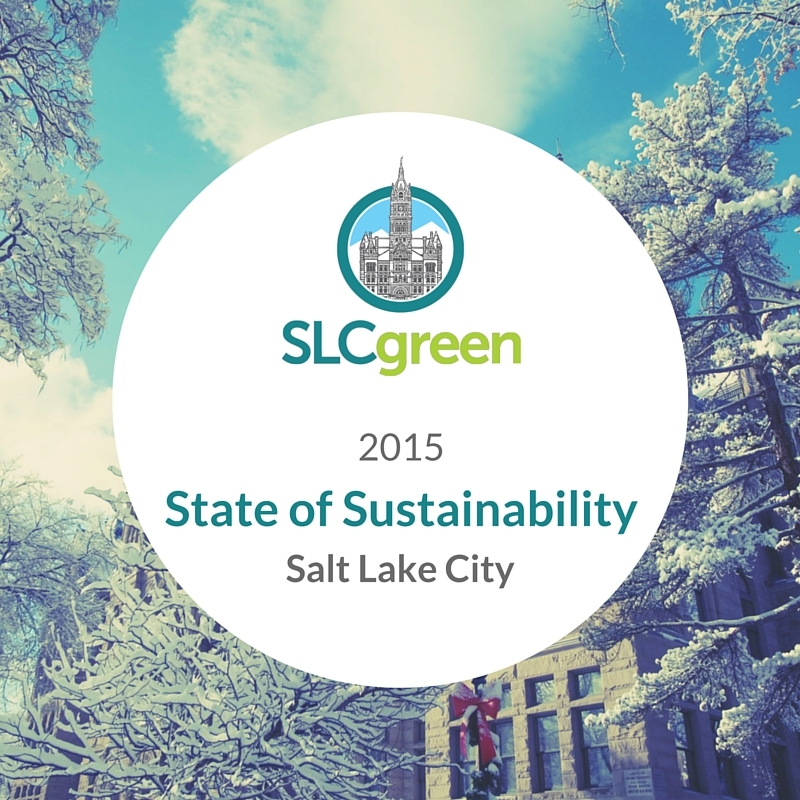 2015: State of Sustainability in Salt Lake City covers the core areas of the division, from air quality, climate change, energy and food to curbside recycling, garbage, compost and glass. We’re excited to give you a look at what we’ve accomplished to date, and what we’re proud to be working on! Explore the State of Sustainability. Download the report (PDF). Feedback? Email us at SLCgreen@slcgov.com. We’re excited for another fantastic year — see you in 2016! On Tuesday, Mayor Becker joined Governor Herbert and other community leaders for a special Sundance event at The Leonardo. Blueprint for a Better Future: Clean Air, Clean Water, Clean Energy was hosted by The Diplomatic Courier Magazine and Hinckley Institute of Politics, and explored how climate change and climate action is impacting the future of our cities. Mayor Ralph Becker took the stage to share how Salt Lake City is proactively addressing the city’s future by taking climate change and climate adaptation into account today. The Mayor highlighted how these investments will not only make Salt Lake City more resilient, but that they will also improve community health through better air quality and a more walkable community. He also said that while Salt Lake City has been fortunate to have access to clean and reliable water from the Wasatch Mountains, the most profound climate risk our community faces is the loss of and degradation of our water supplies. Reducing greenhouse gas emissions is the most important strategy to reduce climate impacts to our water supplies. Salt Lake City has been measuring our greenhouse gas emissions since 2002, and now can tell every department and division their emissions by source, so they can implement specific reduction strategies. New buildings are reviewed to determine if they can be built to a “net-zero” standard. Our new Public Safety Building has met that goal. 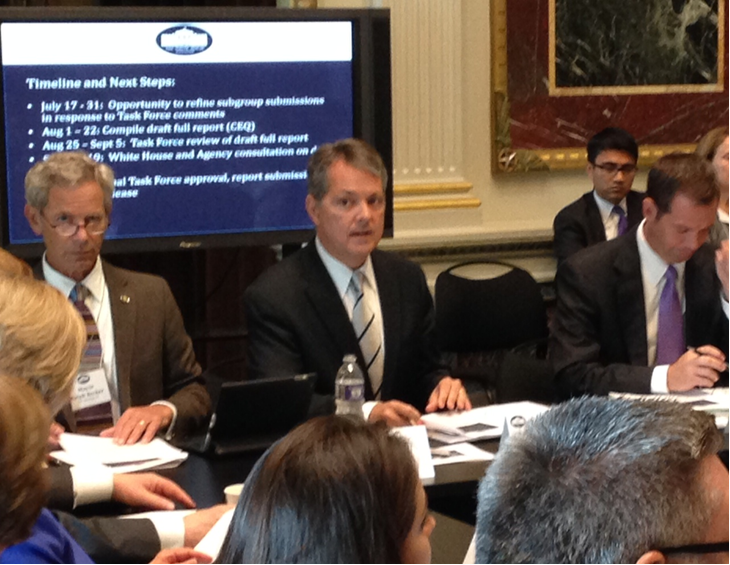 Fleet vehicles are constantly being right-sized, eliminated or replaced with alternative fuel vehicles. Electric charging stations are being installed across the city. The City is beginning a Climate Leadership Academy for employees to help enhance the City’s capacity for addressing climate change. Employees from all departments will attend monthly meetings for a year to learn about climate issues and opportunities, personally and professionally. This, and other training opportunities, will ensure that every city employee understands how they can make a difference. The City has been fortunate to receive Federal support on our climate planning efforts, partnering with Western Water Assessment, part of the NOAA Regional Integrated Science Assessment Program, to conduct climate vulnerability work. This partnership has leveraged our access to actionable data and tools to support climate adaptation decision-making, especially within our water utility. Due to these aggressive efforts, Salt Lake City has been designated by the White House as a Climate Action Champion. 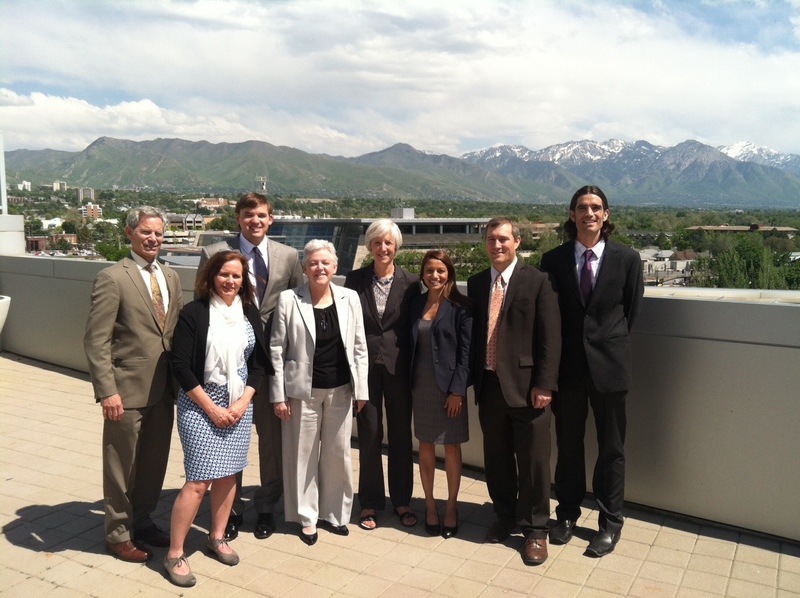 Salt Lake City is launching a metro-regional climate planning group that will look at mitigation and adaptation efforts on a broader, regional basis in a collaborative way. 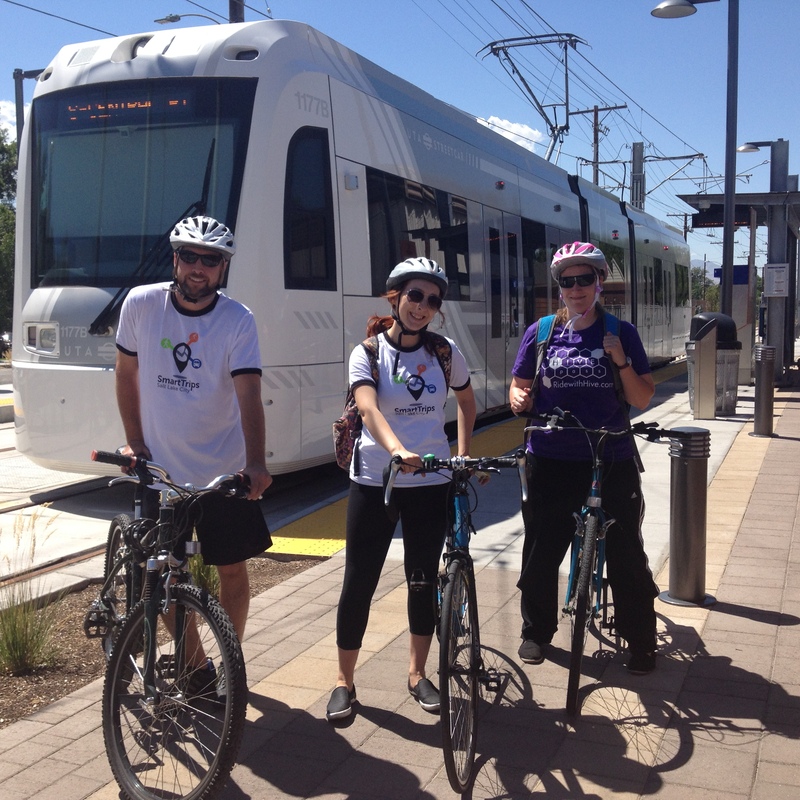 Other efforts include a Transit Master Plan, Complete Streets Ordinance, protected bike lanes, streetcars and the Mountain Accord planning process. Salt Lake City understands that addressing climate change impacts is essential as part of our efforts to achieves our goals to be a livable city. And when we address climate change, we also address air quality, facilitate mobility choices, ensure a safe and abundant water supply, create more walkable neighborhoods and establish a vibrant downtown. Learn more about our efforts at SLCgreen.com.